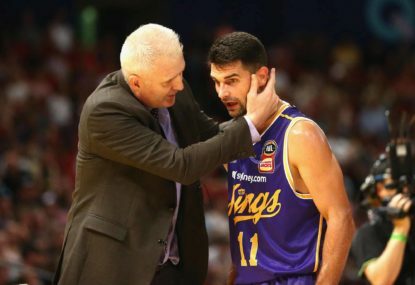 Getting a chance for one more game at the helm in Melbourne would only be fitting for Andrew Gaze and he is confident the Sydney Kings can bounce back on Sunday at home to force a semi-final Game 3 against United. 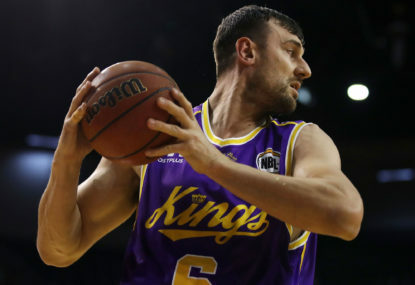 Andrew Bogut might be the NBL defensive player of the year, but Kevin Lisch’s work at the defensive end starting against Melbourne United’s Casper Ware and Chris Goulding could be even more important to the Sydney Kings’ finals prospects. 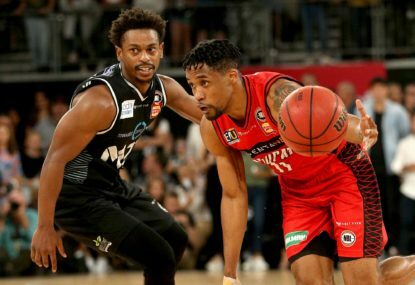 The Perth Wildcats might have finished the regular season on top of the NBL and might be the league’s powerhouse, but they deservedly go into the finals starting on Thursday with a chip on their shoulder. 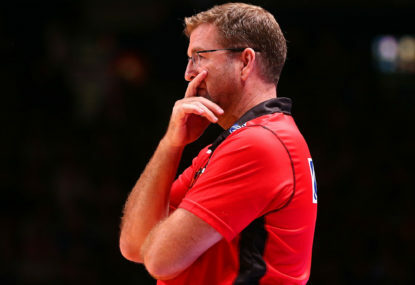 The NBL finals begin this Thursday night with four genuine championship contenders, but three of the four contending teams have coaches out of contract. 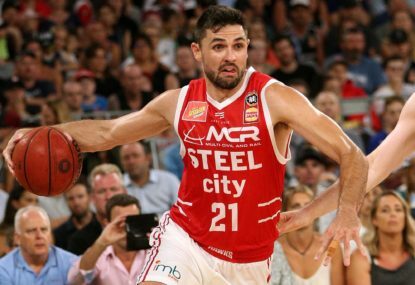 The NBL regular season concludes with a Melbourne United-Perth Wildcats Sunday blockbuster leading into the awards night and while Sydney Kings captain Kevin Lisch thinks Andrew Bogut should sweep them, it remains a wide-open race for a number of accolades. 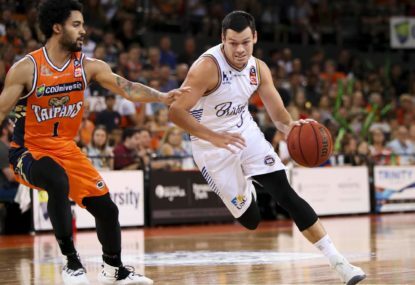 For the Brisbane Bullets, Illawarra Hawks and New Zealand Breakers, they have no choice but to beat teams above them to take part in the NBL finals while the Adelaide 36ers just can’t afford a slip up against the Cairns Taipans. Jeepers – make that two wins away! 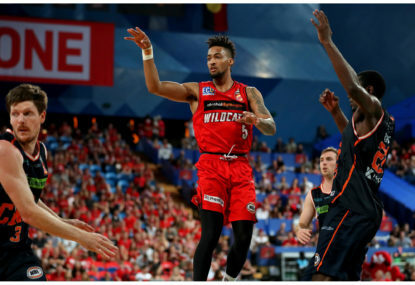 Four venues with big crowds and hopefully brilliant atmospheres is what it looks we should get – just need the basketball to back it up which I see no reason it won’t! Thanks Kris. 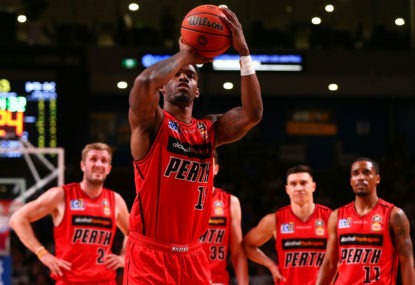 Certainly a tough job winning in Perth but it’s a Brisbane team that hold no fears. Containing Cotton is key. 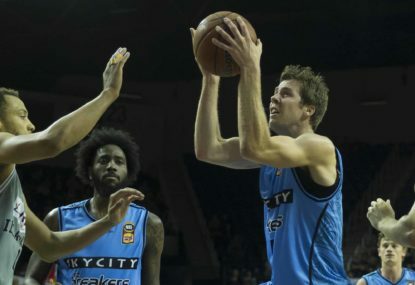 If Gliddon shoots well, Patterson outplays Terrico White as he should and Bairstow matches whatever Kay does, they are well within a shot! And Kings-United is just impossible to call – except to say it’s going to be full of drama! 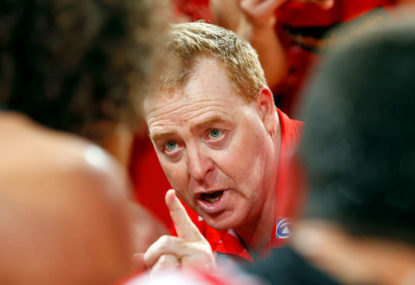 Spot on – Patterson has been great. Would be an MVP chance had he been here all season. Should still finish top 3 at this pace. They certainly have the ability. But until they prove they can match it with Perth and New Zealand, they aren’t in the mix. But doing so in a playoff series would be the perfect time to turn it around! 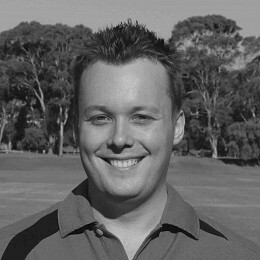 Hi Damo, thanks for reading. I couldn’t have been more impressed with the Breakers. Newbill and Sosa are match winners. Plus they have been without Penney and a third import. But only time will tell! Agree on the Hawks. They should be a better team than last season. But when things go on behind the scenes to upset the harmony, it often leads to results like this! Yeah Bairstow is on injury waiver so not part of the roster this season and no chance of playing. They hold out hope he could next season, but he’s not contracted beyond this season. Humphries and Singh are fine as your developing centres, so no issue there and Singh will be sticking around no matter what with the long-term future in India in mind. But clearly an experienced big man is what they need. And I still think a point guard too, but they obviously don’t think they need a genuine playmaker/distributor. Thanks for reading Kris. 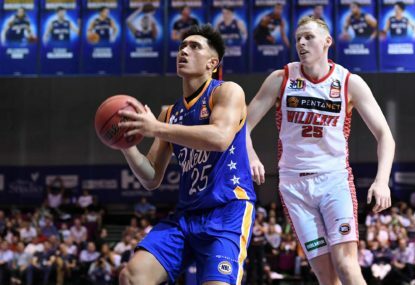 Bear would be more than welcome back on the floor for the Bullets no doubt, especially with Mitch Young out indefinitely with his glandular fever, Tommy J still getting over a badly broken finger and Peach finding his feet after no pre-season. But unfortunately he’s no chance of playing this season because of his knee. 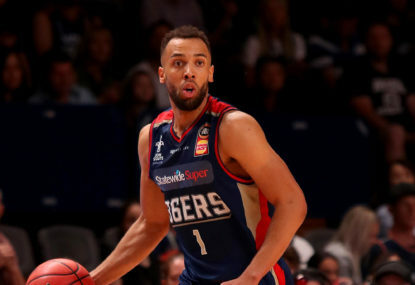 He’s still in Brisbane with the hope of being right to go for the start of next season, but it’s an injury where it’s going to need to be managed the rest of his career now. And yep I just don’t understand the Kings decisions. They’ve now signed Jeremy Kendle. 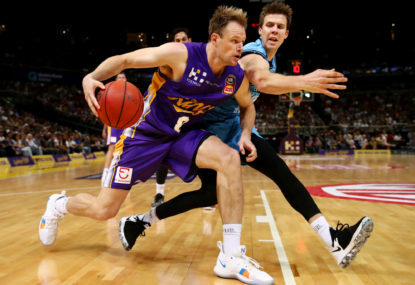 Nothing against him, but he is another player better NOT as the primary ball handler – the same as Lisch, Cadee and Leslie! None of those rule changes would be bad if implemented, I think particularly the defensive three second rule would be good so no one can camp in the paint. Travelling is an interesting one. From talking to a lot of imports, it shocks them what they get called for as a travel! 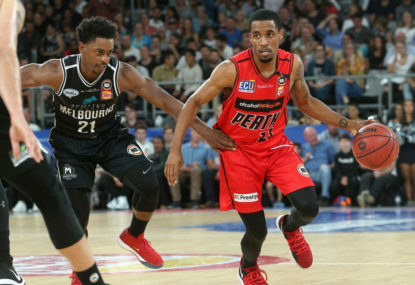 But the reality is very few NBL players will end up playing in the NBA where almost all of them will play in other leagues throughout Europe, Asia or Puerto Rico where FIBA rules are in place too. 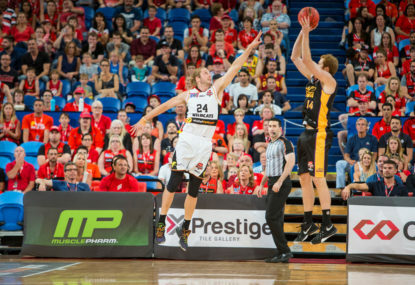 The NBL will be sticking with FIBA because that’s what most of the world follows, aside from the NBA. BUT the one rule that annoys me every single year is the possession arrow. Bring back the jump ball please! Hi James, totally agree with you. Of course we love players speaking their minds. But saying you don’t like anyone on a team. Just hours after you did a photo shoot with Rotnei Clarke and that is a team that I don’t see any reason to call dirty, was strange by Jerome. But I understood it. He did it to fire himself up and it worked! Why Mitch backed him up and repeated it before playing in Wollongong, I will never understand. I don’t blame Joey for not wanting his players to talk this week! Makes it great viewing though! My thoughts exactly James! Why bother? Thanks for reading then Bill! Could be here all day talking about former NBL clubs!